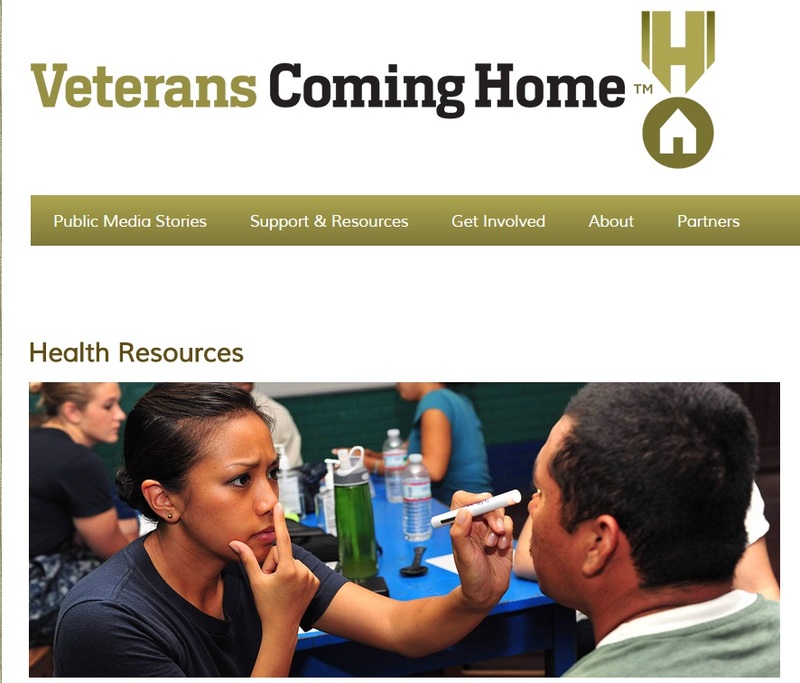 These are resources related to health and well-being that are available for military personnel and their family members during recovery and reintegration process. While all resources are researched prior to adding to this page, it does not constitute endorsement. 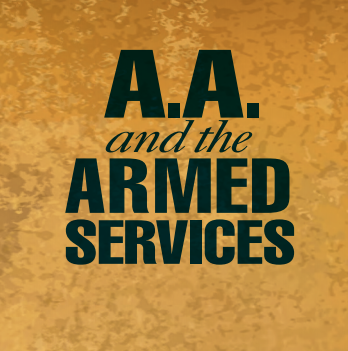 Alcoholism in the Armed Forces is perceived as common rather than the illness that it is. 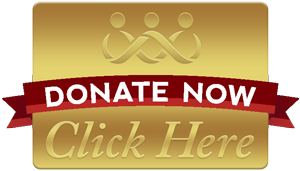 Alcoholics Anonymous® works to provide support those who suffer from alcoholism. 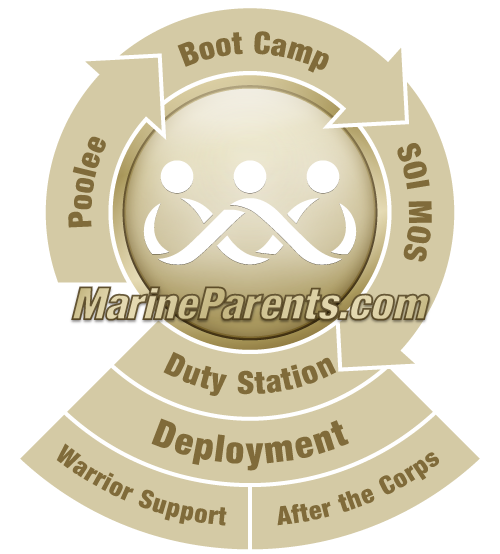 They also provide information specifically for those in the Armed Forces. To read that information click here. Disclaimer: Alcoholics Anonymous World Services, Inc. has not approved, endorsed, or reviewed this website, nor is it affiliated with it, and the ability to link to A.A.'s site does not imply otherwise. *Image info: Rhode Island Senator Jack Reed urges passage of the Clay Hunt Act to Help Prevent Veterans' Suicides. This past Monday, September 19, 2016, a transitional house for veterans dealing with post-traumatic stress (PTS) was dedicated to Marine Corps veteran Clay Hunt. Hunt, who served tours in Iraq and Afghanistan, took his own life in 2011. Over the past four years, the house has seen approximately 300 combat veterans recovering from PTS come through its doors and over the summer it received new flooring, new paint, and new appliances, among other repairs, courtesy of Camden Properties and the PTSD Foundation of America. "We want people to have an opportunity to really just pull it back together and to know how much the country cares about them and really appreciates what they've done for us," said Stacy Hunt, Clay's father. *Image info: Five signs that may mean someone is in emotional pain and might be at risk for suicide. Unfortunately, more than 100 Americans die by suicide each day and oftentimes the warning signs that a person is about to harm themself go unnoticed. 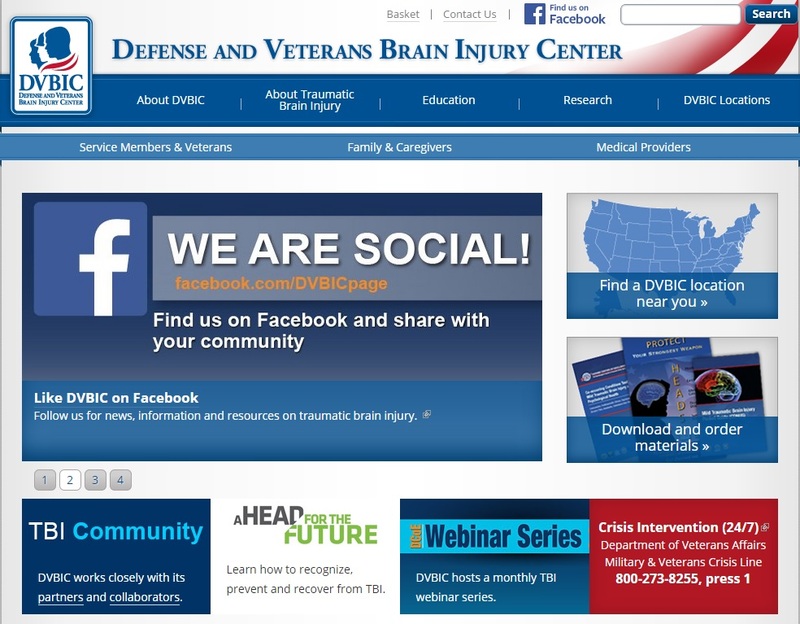 According to Dr. Mark Bates, Associate Director of Psychological Health promotion at the Deployment Health Clinical Center (DHCC), which is a part of the Defense Centers of Excellence for Psychological Health and Traumatic Brain Injury (DCoE), "While some warning signs can be difficult to notice at times, it can be helpful to listen carefully and consider what a person may be communicating indirectly. Listening well is very important if you have concerns about someone's emotional state." Bates also said that it's important to pay attention to non-verbal signs that a person may be contemplating suicide. "Mood swings, staying away from family and friends, or if someone no longer has an interest in activities they would enjoy doing otherwise, those can be indicators as well," he said. 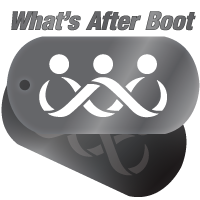 In the approximately 50 years since the Vietnam war, military medical professionals have witnessed a substantial increase in the number of service members returning from combat deployments with traumatic brain injuries (TBIs) caused by various explosive devices. 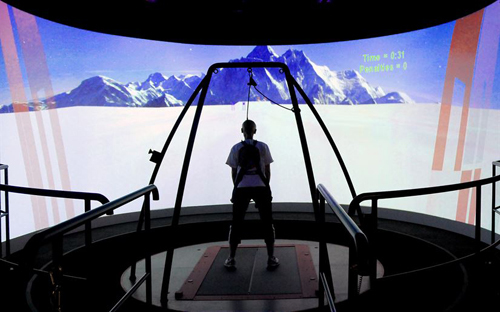 At the the Walter Reed National Intrepid Center of Excellence, doctors and therapists have been using research and technology to help service members cope with, and recover from, TBIs. According to Dr. Louis French, the center's Deputy Director, the center has been studying the brain in a variety of ways, including its structure and metabolic activity, how the brain metabolizes glucose, where the blood flow is, and the electrical activity in the brain. "All of those things we want to know go into this idea of function, and we want to visualize those better," he said. "And the techniques we have developed, there are ways of better visualizing abnormalities in the brain. Once we gain better insight into what these abnormalities are, then we can find ways of targeting treatments better." 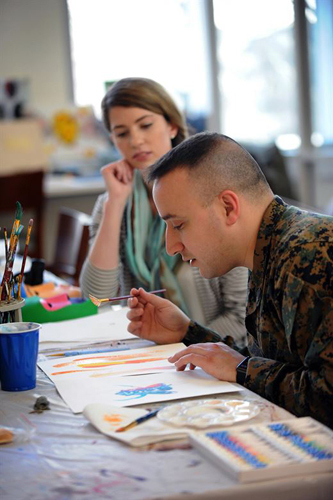 *Image info: Marine Staff Sergeant Anthony Mannino performs art therapy with guidance from art therapy intern Adrienne Stamper as part of his traumatic brain injury treatment and recovery at the National Intrepid Center of Excellence in Bethesda, Maryland, March 1, 2016. (Deparment of Defense photo by Marvin Lynchard/released). 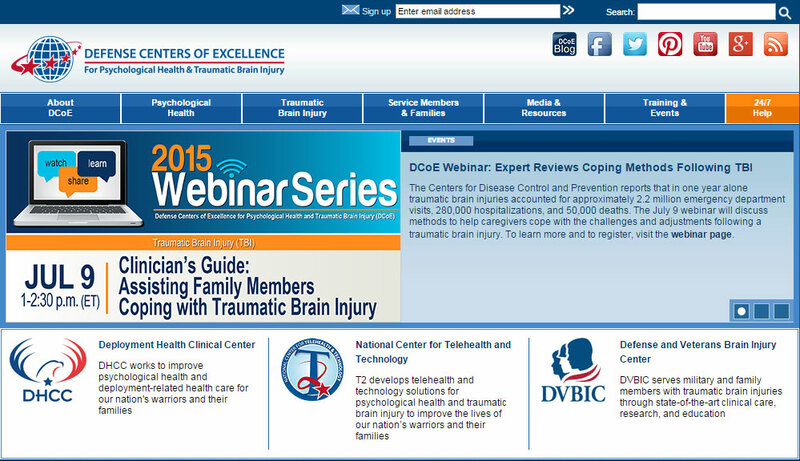 To help combat and gain a greater understanding of TBIs, the Walter Reed National Military Medical Center in Bethesda, Maryland, has founded The National Intrepid Center of Excellence to help active duty, reserve, and National Guard members and their families manage TBIs and related psychological health conditions through diagnostic evaluation, treatment planning, outpatient clinical care, and TBI research. One of the ways The National Intrepid Center of Excellence is helping service members heal from TBIs and Post-traumatic Stress (PTS) is through art and music therapy. 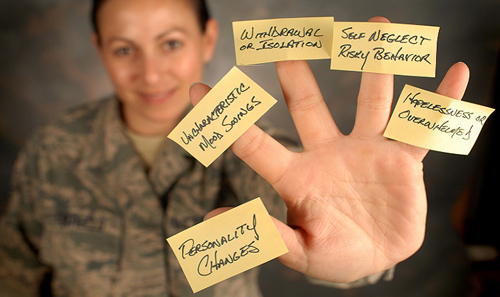 By engaging in art and/or music therapy, recovering service members aim to improve or restore their functionality and sense of personal well-being as art and music therapy have been shown to help in conflict resolution, managing problematic behaviors, reducing stress, improving interpersonal skills, and achieving personal insight. 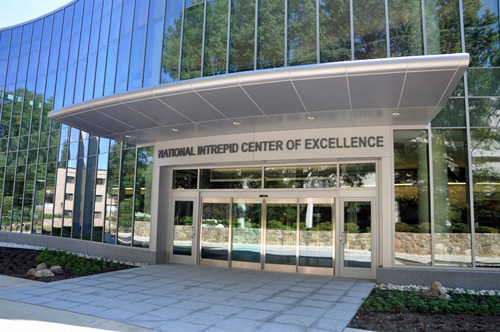 *Image info: The National Intrepid Center of Excellence. 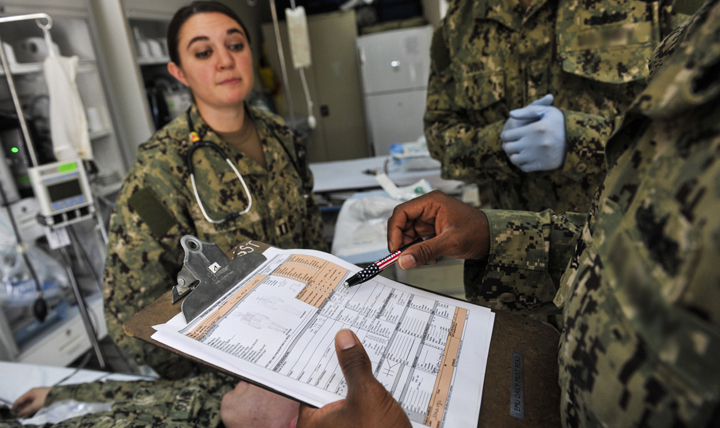 According to figures from the Defense Medical Surveillance System and Theater Medical Data, almost 340,000 service members have been diagnosed with traumatic brain injury (TBI) since 2000. The figures also reveal that TBIs contribute to one-third of all injury-related deaths in the United States, where an estimated 1.7 million people sustain a TBI on a yearly basis. Of those 1.7 million who sustain a TBI, almost 80% will be treated and released from an emergency department, while 275,000 will be hospitalized and 52,000 will die. Suicide causes immeasurable pain, suffering, and loss to individuals, families, and communities nationwide. 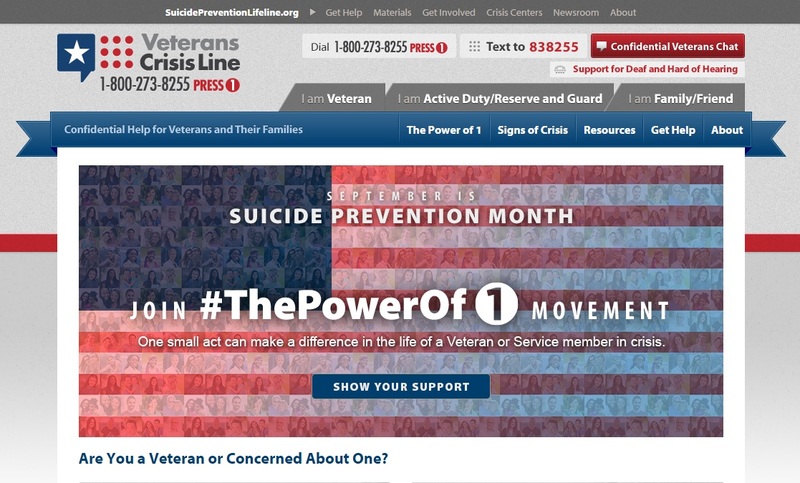 On average, 112 Americans die by suicide each day. Suicide is the second leading cause of death among 15-24 year olds and more than 9.4 million adults in the United States had serious thoughts of suicide within the past 12 months. The Mendleton Foundation was created with one simple idea—leave no brother behind. 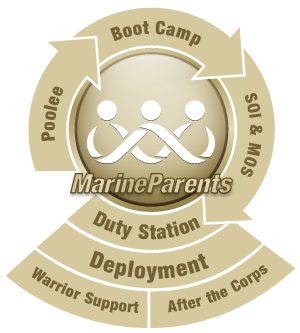 Mendleton started life as a Facebook group designed to build camaraderie and give Camp Pendleton Marines and Sailors a way to exchange extra gear. 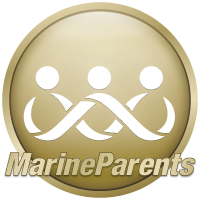 One evening though, a Marine in a dark place and with nowhere else to turn, reached out for support. Within the hour, dozens had offered him the helping hand he needed. Since that fateful evening, our membership has grown tenfold, but one thing has remained the same— Brotherhood. Mendleton has been, and will remain, a place for service members to help service members. 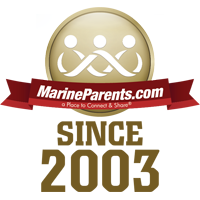 Mendleton is comprised of active duty service members and veterans of all branches who operate in two separate functions;— a private members only online forum, and our public nonprofit foundation. 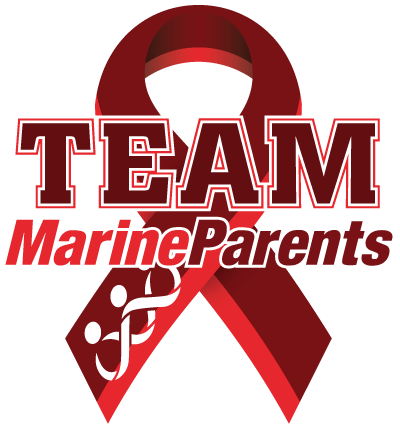 The Mendleton Foundation is a recognized 501(c)(3) charity which enables us to use generous donations to help us connect veterans, host events, and set up outings as a means to help raise awareness and promote prevention of the suicide epidemic that is plaguing our beloved military. 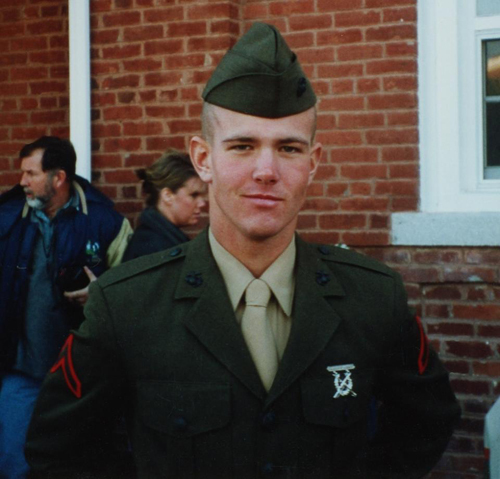 The Mendleton Foundation is on a mission to "drop the suicide rate of our veterans to zero, because even one life taken from this world to soon is one too many." 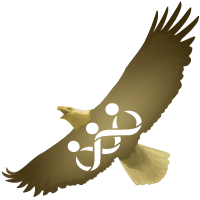 Established in 2014, The Paul Oliver Foundation is a tax exempt non-profit aimed at providing service animals to veterans of combat with Post Traumatic Stress Disorder (PTSD) and Traumatic Brain Injury (TBI). 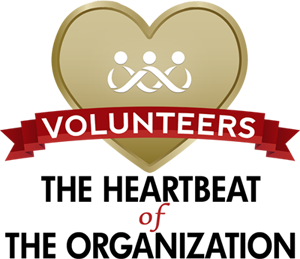 The foundation does this through its mission: Honoring Our Nation's Heroes Through Actions and Service. 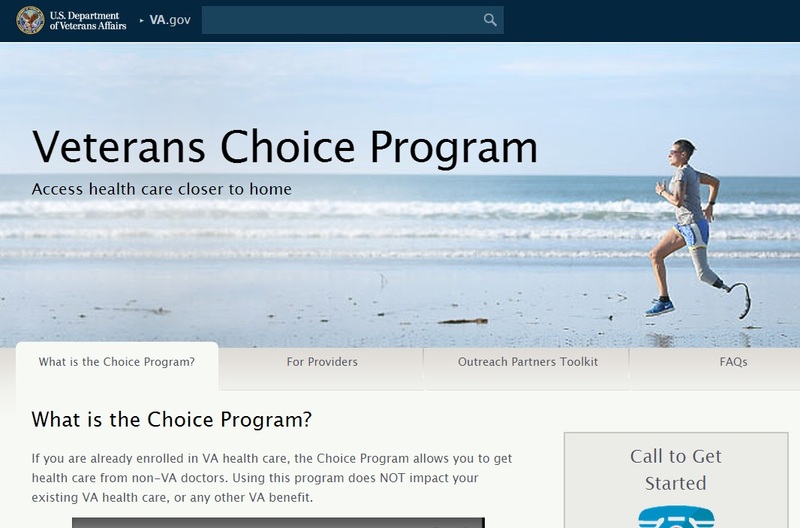 The Veterans Crisis Line, online chat, and text-messaging service are free to all Veterans, even if you are not registered with the U.S. Department of Veterans Affairs (VA) or enrolled in VA health care. 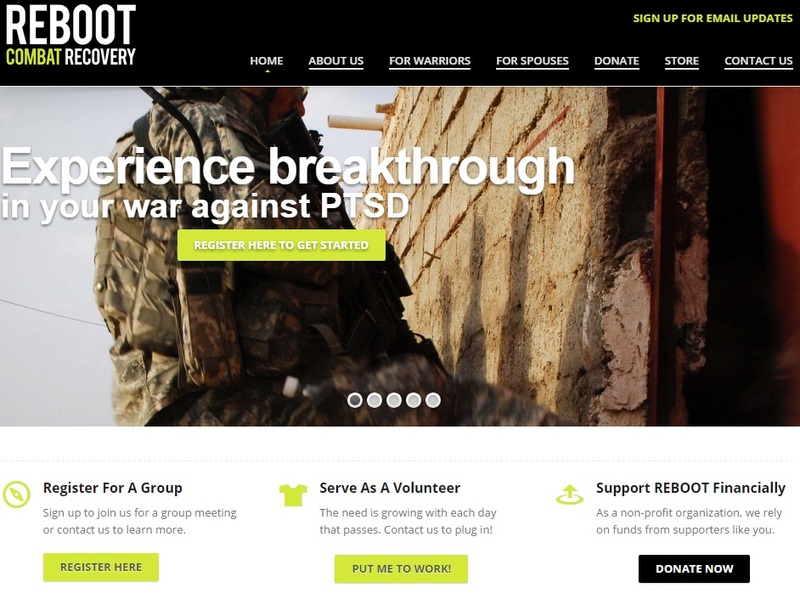 Hundreds of Veterans call us every day, and start to get back on track. 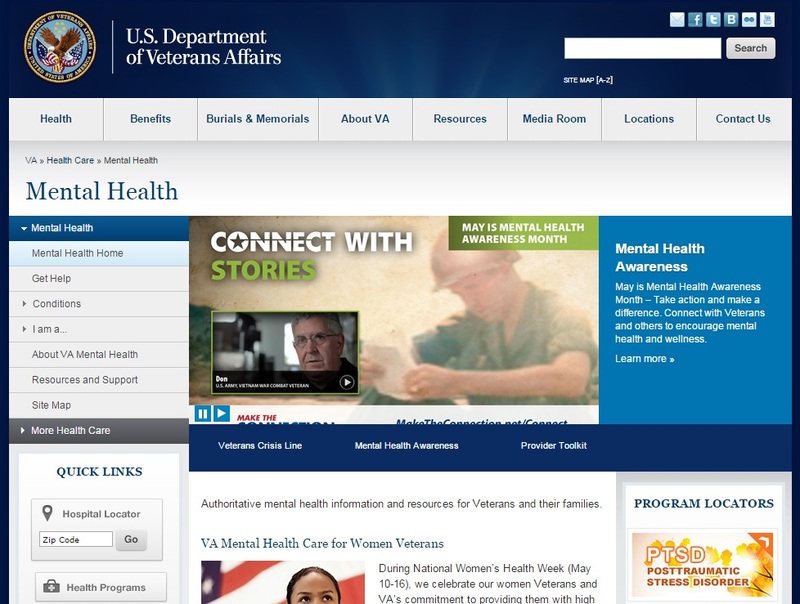 The Veterans Crisis Line is staffed by caring, qualified VA responders  some of whom are Veterans themselves. 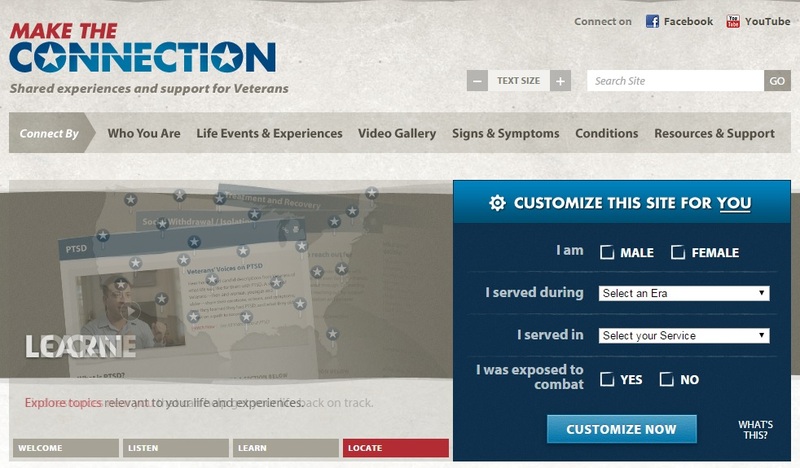 They understand what Veterans have been through and the challenges Veterans of all ages and service eras face. 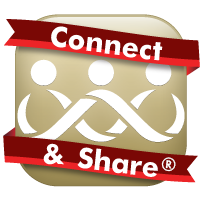 Connecting Veterans and their friends and family members with information, resources, and solutions to issues affecting their lives. 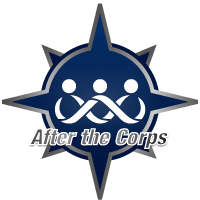 Funded by the Corporation for Public Broadcasting and led by Wisconsin Public Television, Veterans Coming Home builds on public media's strengths to address the needs of veterans in local communities. There are many reasons veterans can become homeless, including poverty, lack of support from family or friends, substance use, or mental health challenges that may develop or worsen as a result of trauma they experience while serving. 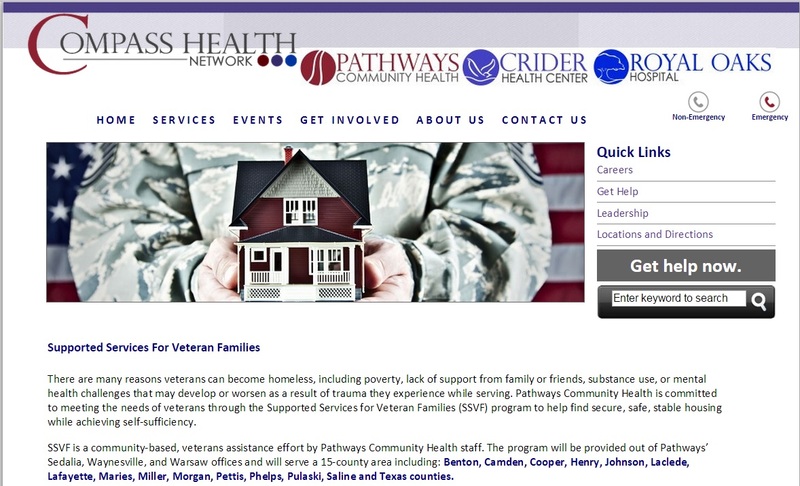 Pathways Community Health is committed to meeting the needs of veterans through the Supported Services for Veteran Families (SSVF) program to help find secure, safe, stable housing while achieving self-sufficiency. 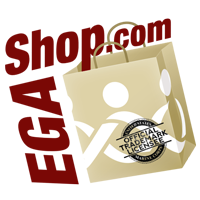 Family assistance can be considered "one stop shopping" for military families. 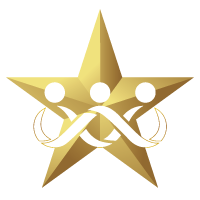 Family Assistance Centers are offices that have been established in order to provide supposert to Service Members, Veterans, and their Families. 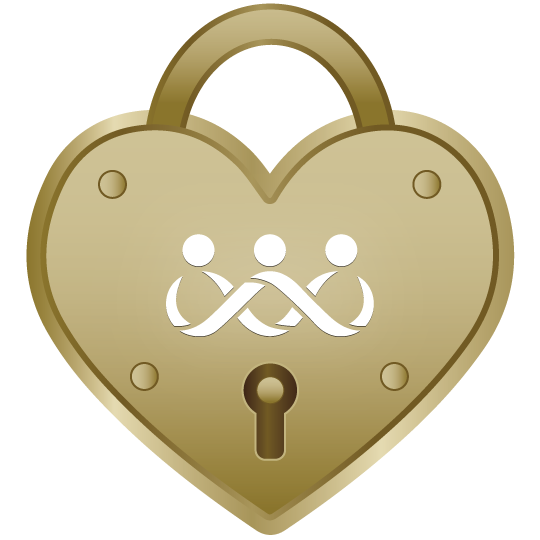 They are intended to simplify the process of accessing a variety of needed services and support. 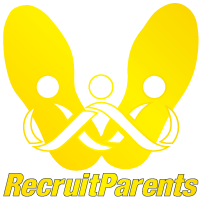 The primary mission of a FAC is to provide information and referral to essential resources for you and your family. 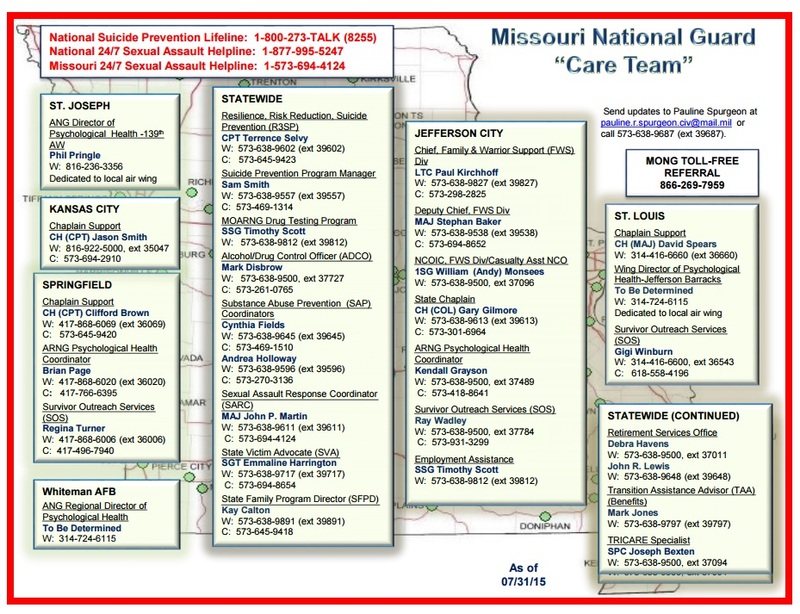 Although located in Missouri, this particular FAC can connect your with resources in your local area.